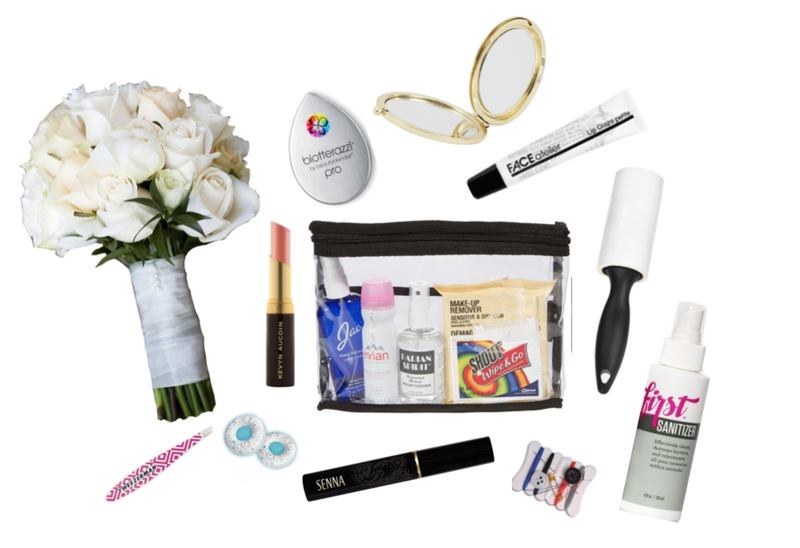 WEDDING SEASON: BRIDAL KIT MUST HAVES! Wedding Season is upon us! As a Professional Makeup Artist, it's your JOB to make sure you are prepared for any situation! To make sure your client's special day goes perfectly as planned, check out our Bridal Kit Must-Haves! Jao Sanitizer is the first "upscale" antibacterial is an instant disinfectant and aromatherapy boost all in one. Jao kills germs and freshens hands with ethyl alcohol (less drying) and their very own blend of antiseptic essential oils: Lavendar, Tea Tree, Eucalyptus, Geranium, and Sage. You can also use Jao under the arms for an instant refresher! A multi-use must for any travel bag or purse! FIRST Sanitizer Effectively cleans, destroys bacteria, and rejuvenates all your cosmetics within seconds! All-natural, certified organic ingredients. Disinfects without destroying the integrity of your cosmetics. Parian Spirit Brush Cleaner is the preferred brush cleaner among professional film and television makeup artists. It is an environmentally safe product that thoroughly and gently cleans synthetic and natural bristles. 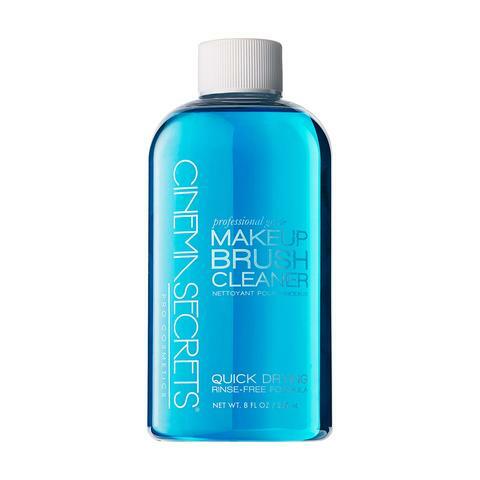 This unique cleaner dissolves all types of makeup products (powder, liquid, wax-based and adhesive) while conditioning and disinfecting brush hair! Mario Badescu Lip Wax (available in Make Up First® Pro Shop only). Keep lips soft, smooth, and hydrated regardless of how many speeches you have to give. Lightweight, non-greasy, and never sticky in texture; it's enriched with antioxidant Rose Hip and Vitamin E Oils to nourish dry skin as nutrient-rich Beeswax ensures lasting hydration. 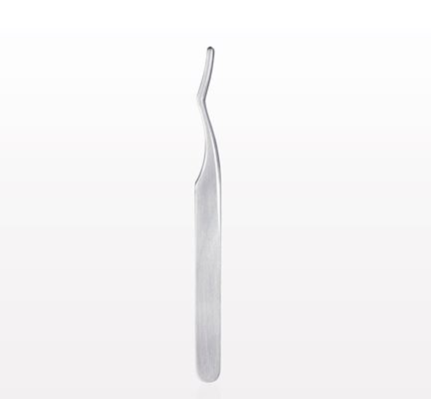 TWEEZERMAN Mini Slant Tweezer for all of your last minute tweezing needs! Cinema Secrets Micro Scissor is the worlds smallest facial trimmer! Use in a pinch for trimming facial hair without cutting, pulling, or irritating skin. You can also use this for pesky threads, shirt tags, etc.! SENNA Brow Gel (Clear) will help tame unruly hairs. Also available in Blonde Shimmer, Golden Brown, Taupe, and Dark Brown, perfect for adding dimension. 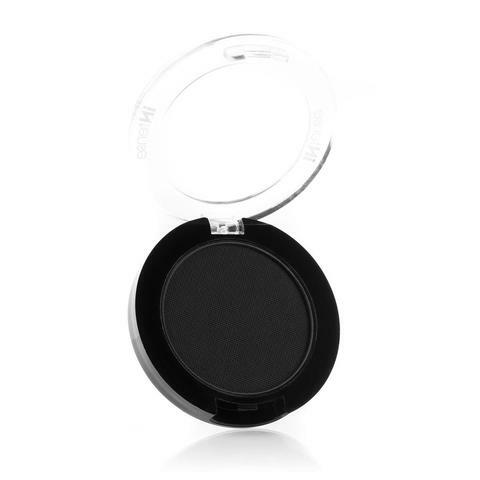 FIRST by Maqpro HD Powder, translucent pressed setting powder perfect for last minute touch-ups! BeautyBlender® blotterazzi™ pro is an alternative to blotting papers. 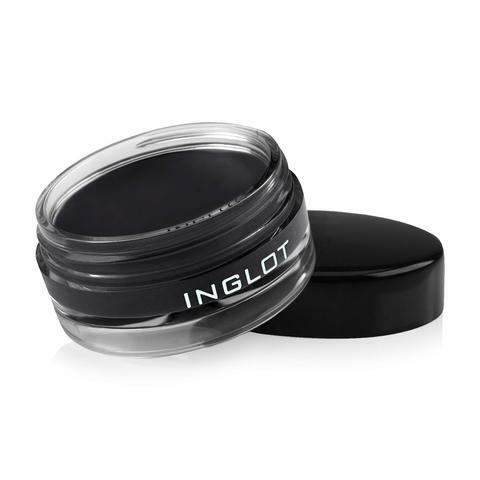 It is a washable and 100% reusable blotting cushion. The unique, award-winning material stays “thirsty” and absorbs excess oil while the open cell structure helps to re-texturize makeup, mimicking the appearance of natural skin. The flexible sponge is designed to fit all the contours of the face leaving behind a naturally flawless looking complexion. The chic mirrored compact contains two black cushion blotters for beauty touch-ups on the go. A vented back and clear, hygienic separator ensures sponge freshness. Callas Latex-Free Lash Glue is the perfect easy to use, waterproof, latex-free lash glue for false eyelashes. 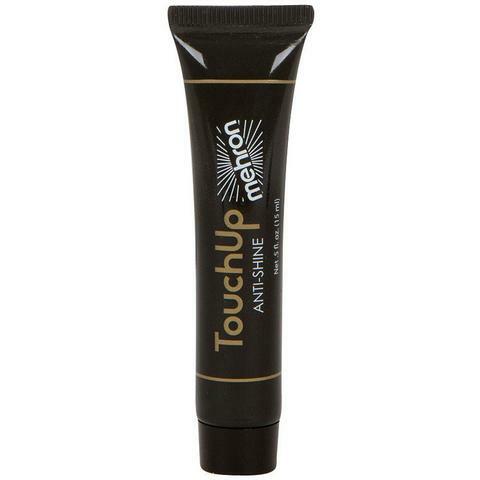 The applicator is perfect for last minute touch-ups! 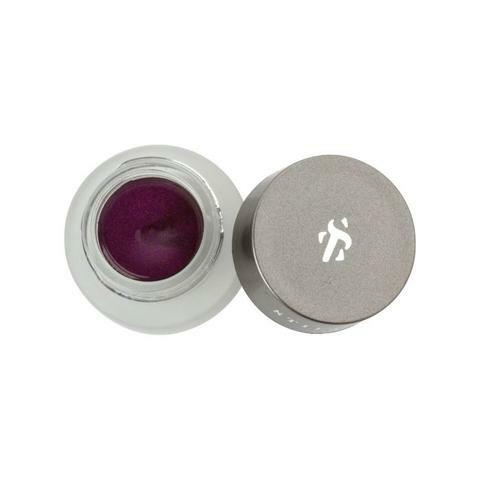 Kevyn Aucoin Matte Lip Color is rich in pigment, this lip color stays bright and luminous all day long... Not only does it leave the creamy formula in a state of fixed color, it won't smudge and wears for hours. ModelRock Liquid to Matte Liquid Lipstick is long-wearing, ultra lightweight and will last for hours. 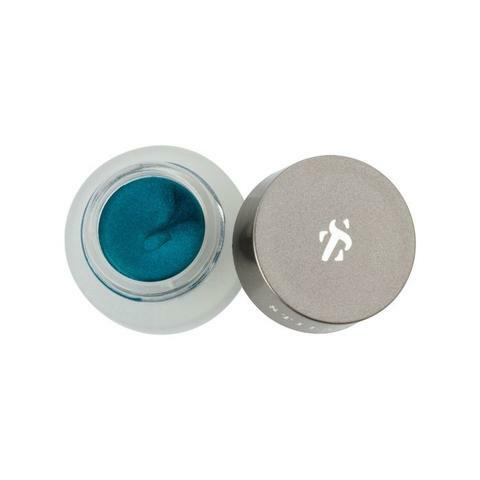 Intense highly-pigmented, sharp colors, with a velvet-like feel to the lips. Wear alone or partner with your favorite lipgloss. FACE Atelier Lip Glaze Petite features FACE Atelier's best-selling shades in a smaller size that are perfect for the wedding and honeymoon. 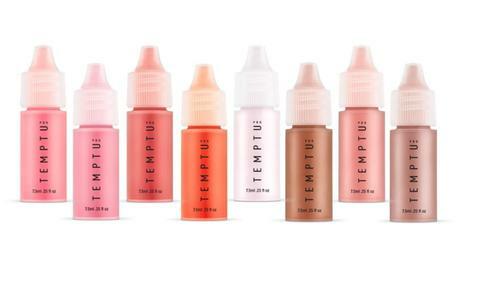 Lip Glaze gives a high-shine effect while hydrating and moisturizing your lips. And as per usual for FACE atelier, a little goes a long way! Skindinavia® Makeup Finishing Spray, kiss-proof, cry-proof and sweat-proof, Skindinavia’s ultra-fine spray is specially designed to resist the effects of excess moisture and helps keep makeup looking flawless. Their award-winning mist controls stress-induced shine and keeps makeup photo-ready for up to 16 hours. Recommended for all skin types! Vueset Palettes are clear durable palettes designed to work together as a system to help organize, consolidate, and increase efficiency on the job. Monda Beauty Box is made for portability, accessibility, and organizing your kit. It has customizable dividers in the main compartment that are padded and sturdy enough for professional use and travel. WHY YOU ASK? BECAUSE THE THIRD COAST IS THE BEST COAST! 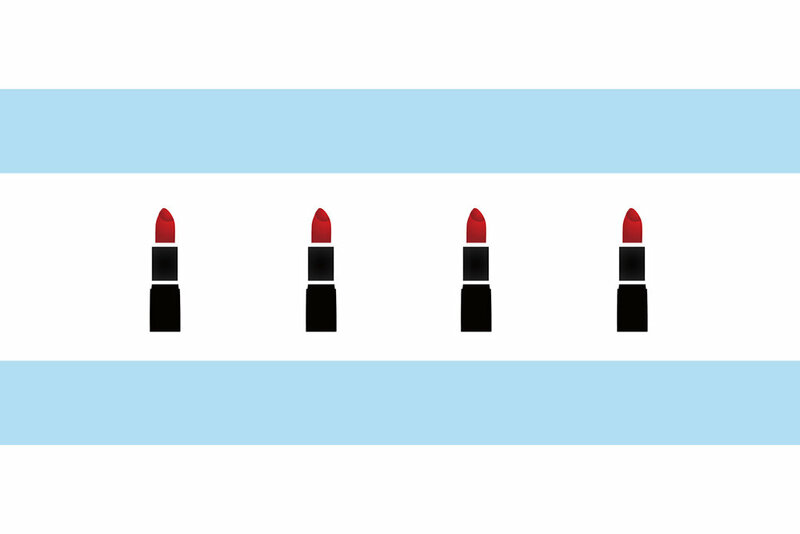 First, Make Up First® SCHOOL is located in downtown Chicago! Chicago's nicknames include: The Windy City, City of Big Shoulders, The Second City, and The City That Works. There are 5 citywide music festivals, nearly 50 neighborhood music festivals and 35 neighborhood food festivals! Lollapalooza is an annual music festival featuring popular alternative rock, heavy metal, punk rock, hip hop, and electronic music bands and artists, dance and comedy performances, and craft booths! Lollapalooza will be August 2-5, 2018 in downtown Chicago! Riot Fest is a multi-day music festival. Riot Fest specializes in rock, punk, alternative rock, and hip hop. Riot Fest will be September 4-16, 2018! 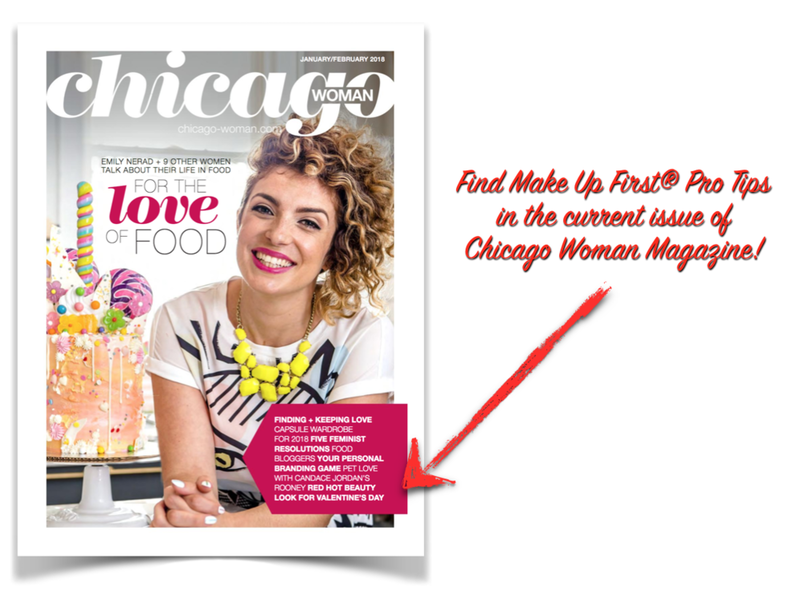 The Taste of Chicago is the world's largest food festival! It is held in Grant Park from July 11-15, 2018! Chicago has approximately 369 landmarks and 46 historic districts! There are over 5,195 restaurants! More than 250 theaters, 225 music venues and 200 dance companies! There are over 700 public art works! Chicago has the largest collection of Impressionist paintings outside of Paris! Visit Make Up First® this Summer! Check out our upcoming workshops and classes below! Mini Monday Workshop Series - Kit Essentials! OUR CERTIFICATION PROGRAM SPRING SESSION BEGINS APRIL 2ND, 2018! UPCOMING WORKSHOPS - Continuing education hours offered! PHOTOSHOOT FUN! MORE TO COME! Our MEDIA RUNWAY | EDITORIAL | FASHION Course just wrapped -- and our students had a blast working with agency models to create looks for their portfolios! 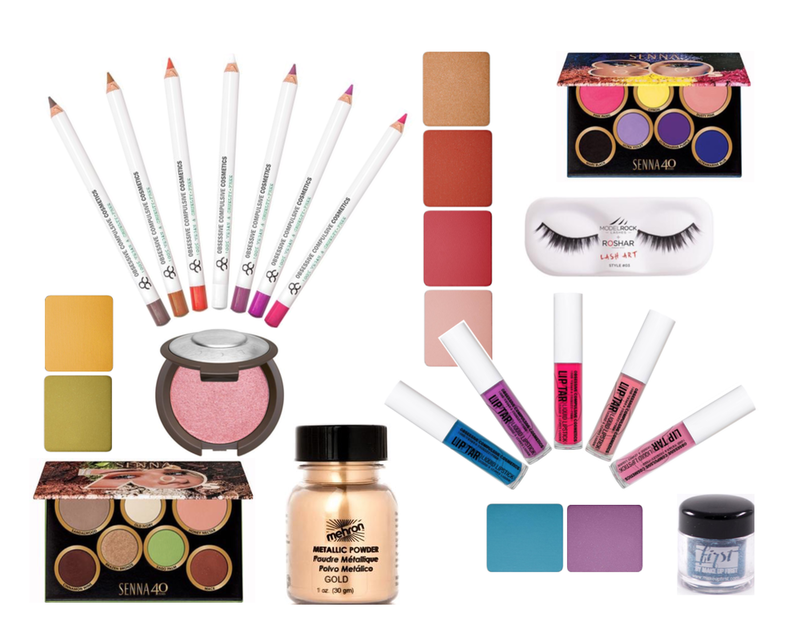 Want to learn more about makeup and the industry? Our next Session is just around the corner! Start with our full Certification Program on April 2nd! Make Up First® School attracts students from all over the world! We also have local students who are unable to devote the time needed for the full, four weeks necessary to complete the two prerequisite Certificate Program courses. In order to accommodate those students, Consolidated Basic Makeup I and II is offered periodically throughout the calendar year. In the Consolidated Course, Basic Makeup I and Basic Makeup II, are combined and is taught over a consecutive five (5) eight-hour days. Our next Consolidated Basic I and II Course is NEXT month, March 19-23rd! ADD AIRBRUSH TO YOUR MENU OF SERVICES & INCREASE YOUR EARNINGS! Your cost of the compressor, foundations, may be tax deductible expenditures. You will book more brides; in fact, brides will often hire only those makeup artists who are skilled at airbrush makeup. You will be able to work more quickly, thereby completing more faces and increasing your earnings. You will be able to charge extra for your airbrush services; you will also be able to charge extra if/when you are able to camouflage tattoos using alcohol-based airbrush products. This class will focus on the art of Drag Makeup and the many interpretations of drag styles. Join Make Up First® as former graduate, “Thirsty Alley” demonstrates application techniques to create their avant-garde take on drag makeup! Join Make Up First® as Professional Makeup Artist, Sana Rehman, demonstrates a classic South Asian Bridal Makeup Application! This class will focus on dramatic eyes, bold lashes, as well as a traditional full-face application! 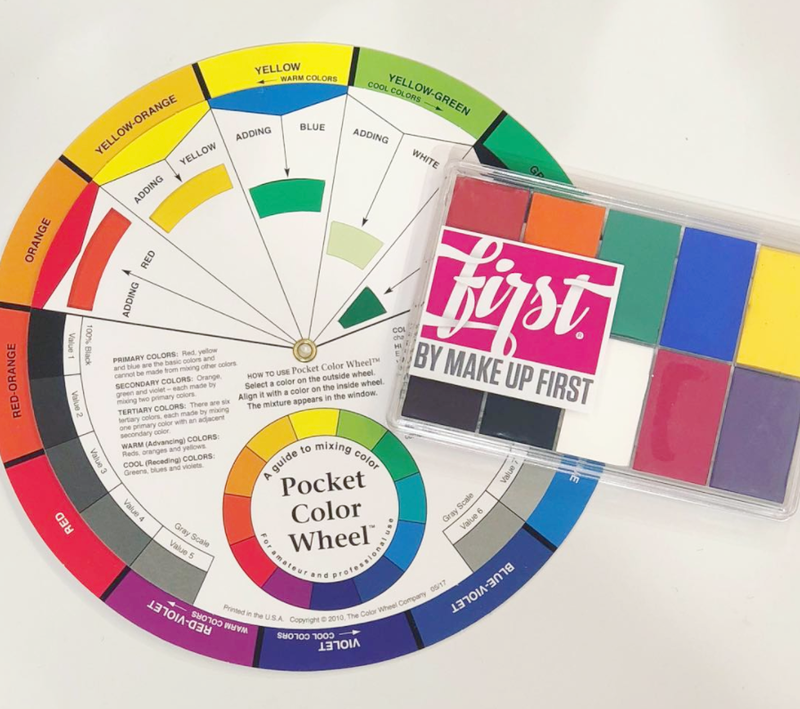 Join Make Up First® as we demo our Kit Essentials! This class will focus on products and items you should include in your kit. Camouflage makeup is used to even skin tone, compensate for hair loss, and, particularly in the case of burn survivors, redefine features. The makeup artist may be hired for a one-time application; for example, for the camouflage of a bride’s tattoo on her wedding day. On the other hand, individuals with skin conditions, such as vitiligo, melasma and hyper-pigmentation, may come to the makeup artist on a regular basis to learn how they themselves can best apply their makeup. Camouflage makeup can be very rewarding. When a makeup artist is able to color-correct the skin, and the result successfully mimics “real” skin, the client’s confidence is immediately boosted. Camouflage makeup can also be extremely frustrating. In the case of uneven skin texture, the makeup artist will only be able to color correct, but will not be able to even out the texture of the severely affected skin, and the result will fall short of looking like “real” skin. In the case of textured skin, both the client and the makeup artist must be realistic and lower their expectations. Excellent sanitation practices are an even greater consideration than usual; the last thing we want to do is to make the client’s condition worse by cross-contamination. The foundations selected should be opaque. The makeup should be durable and long-lasting; however, in no case should any alcohol-based products be used on skin grafts. There should be no need to use more than two foundation colors, and both should be found within the same product line. Finally, the client’s dexterity is also a consideration: in the case of burn survivors, the hands/arms may be constricted, making it difficult for the client to finesse the makeup application. Foundation for the Surrounding Skin: Regardless of the reason for or area to be camouflaged, the first thing that the makeup artist should do is find, and set aside, the foundation color or colors that will match the skin surrounding the affected area. Skin Prep: To the extent possible, the skin should be moisturized and hydrated. Silicone primers, which provide “slip”, will work well with foundations that are silicone or wax-based. If there is some silicone in a crème-based foundation, by using a silicone primer, the foundation will also work to make the skin look more life-like. Color Theory: Assess the undertone/value/color of the affected skin when working to camouflage bruises, birthmarks, and tattoos. Sparingly apply thin color corrector foundation to cancel the discoloration. Examples: unresolved scar tissue and skin grafts are usually red, therefore green will help cancel the red. If the affected area looks sallow (yellow, green), then lavender and pinks will be a good choice. For sallow, deep complexions, orange in the correct value, will work to diffuse the affected area. After the completion of color correction, apply the foundation product that matches the surrounding skin tone and cover-powder-cover-powder. 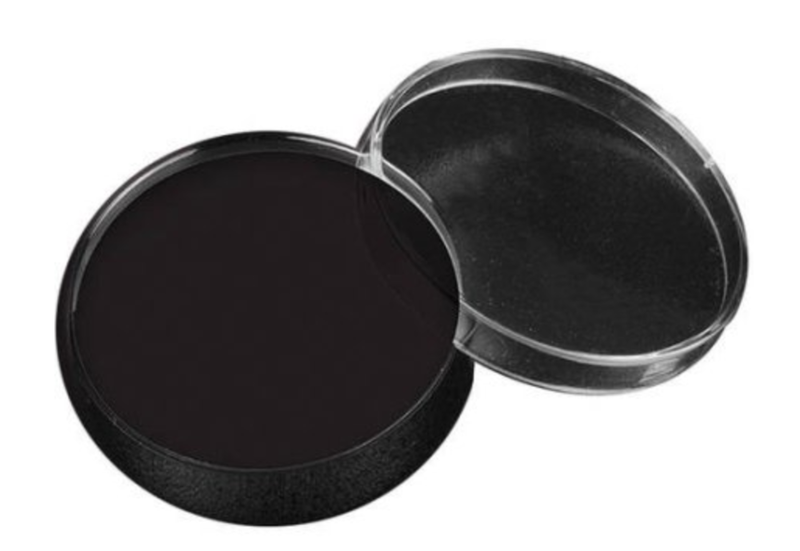 Product Camouflage: In their makeup kits, makeup artists should have a wide color selection of opaque, camouflage products, to ensure that all skin tones can be camouflaged. As stated above, the goal is to find no more than two shades to successfully camouflage the discoloration and/or the surrounding skin. Sometimes “moles” are added to make the area look more realistic. Product Consistency: Try to use the most lightweight camouflage makeup possible, in an effort, to create a more natural look. Product Durability: Set Powder, either in various pigmented shades, or translucent, is highly recommended (unless the skin is severely dry) to create a water-resistant finish. When satisfied that the area is successfully camouflaged, and following the powder application, the artist may wish to lightly spritz ionized water to “bring back” the look of skin. If the client seeks a waterproof finish, such as on the hands, following the last layer of set powder, the artist can spray the area with an alcohol-based setting spray – However, alcohol products should never be used on skin grafts. Brows: Loss of hair may be due to alopecia, chemotherapy or other reasons. The artist must use a waterproof, durable makeup product, together with a small brush to draw individual hairs; some artists also find that using stencils is helpful. False brows, using human hair, can be custom-made and then applied to the brow bone with medical surgical glue, such as pros aide. Eyes: The makeup artist may need to apply the principles of highlight and contour to redefine a natural shape to the eyes. For durability, it is important to first prime the eyelids before adding any powders. On uneven, textured eyelids, the artist should always avoid adding more textures, such as shimmer, frost, and glitter. If the client seeks lashes, the artist can usually add false lashes, using latex-free glue. Lips: First, to recreate symmetry and balance, the makeup artist should use a long- wearing, silicone-based lip pencil, followed by a long-lasting liquid lip product that will not dry out the lips. If lipstick is applied following the lip pencil application, the makeup artist should set the lipstick with a setting powder through a one-ply tissue, this can be repeated up to two times or more. It is advisable to avoid the use of bright, heavily saturated color; instead the artist may wish to apply a more neutral tone. Men should typically avoid any lip color, with the exception, if necessary, of a brown pencil to redefine the border of the mouth. Male Facial Hair: Men can find false beards/mustaches to recreate facial hair; they can also use a stipple sponge with a cream, followed by powder and spray, to create beard stubble, or to recreate the look of hair on their fingers. 1. Use alcohol to clean a stainless-steel palette knife and palette. 2. Before using any products, be sure to spray products with a sanitizing spray, such as FIRST Sanitizer. 3.Prep the skin by cleaning and moisturizing according to skin type. 4. Use a silicone based primer. 5. Using the stainless-steel palette knife and palette, select a color that will match the undertone of the skin, then set that color aside. If the color cannot be found, two colors may need to be mixed. Next, select another cream color or colors, if necessary, to color correct or diffuse the discoloration. 6. Apply the camouflage cream, using a soft, latex-free sponge. Starting in the middle of the area and blend out the edges; make sure to apply the cream that matches the undertone both over and around the scar. 7. Liberal use of the powder, either clear translucent or with some pigment, is necessary – brush away excess and then add more camouflage cream; repeat the entire process two or three times. 8. To achieve a more natural look, “moles”, “freckles”, or hair follicles can be painted on the camouflaged area with either a brush or stipple sponge. 9. To bring “life” back to the camouflaged skin, apply a sheer spray of ionized water. 10. If the hands or neck is the area to be camouflaged, and must be waterproofed, apply a sheer spray of an alcohol-based spray, except in the cases where the skin is grafted. 11. For pitted scarring on small areas, a topical silicone product, such as Dermaflage, may be used. 12. Avoid the use of blush over the camouflaged area. The blush will bring back the color that the artist/client was trying to camouflage. 13. If the client is willing and able, airbrush makeup is a quick and effective way to camouflage skin discolorations and tattoos. Product Removal: Apply a liberal amount of cleansing cream (Cerave, or Cetaphil are inexpensive options) on the entire area. Wipe off the makeup/cleansing cream with a non-irritating moistened cotton square or non-scented baby wipe. For the eyes and lips, a gentle makeup remover, such as a micellar water is recommended. This writing is created for and owned by Make Up First, LLC, and cannot be copied or otherwise duplicated without express written consent of the owner. GET READY INDOORS BEFORE YOU GO OUTDOORS! Tip 1: Prep your face with moisturizer! Hydrate according to skin type. For added hydration and protection, layer your moisturizer with a serum. For Dry Skin, add serum under a thicker formulation moisturizer. For Oily Skin, use an oil-free serum and oil-free moisturizer. For Combination Skin, try oil free products on the T-Zone and thicker moisturizer on the cheeks. Primers may be used under makeup or alone to even out surface texture and fill in fine lines and wrinkles, as well as to protect against, dry, cold windy wintery air! Tip 3: Exfoliate, Exfoliate, Exfoliate! Exfoliate your body, face, and don't forget your lips! We recommend using face scrub 2-3 times a week. For chapped lips, be sure to exfoliate, followed by using a lip moisturizing product, like Rosebud Salve. Tip 4: Use Finishing Spray. To add longevity to your makeup, make sure you spritz your face with a Finishing Spray. 1. Use a silicone-based foundation which will provide a radiant finish and also create yet another barrier from the wind and cold. 2. Highlight the high points of the face to reflect whatever light we have in the winter! 3. Use waterproof mascara (snow, wind) and water resistant eyeliner pencil or gel liner. Don't despair! Srping will be here before we know it! RESOLUTION #1: Take you makeup off before bed. Every night. No matter what. May we recommend The MakeUp Eraser? Meet your new bed-time best friend. The MakeUp Eraser cloth removes 100% of your makeup with water only, including waterproof eyeliner and mascara, HD makeup and much more. The machine washable cloth will last up to 1,000 washes and eliminates the need to buy any disposable product to remove your makeup. How to use: With warm water, fully soak the cloth before using. Beginning with the short-pile side, use circular motions to loosen and remove makeup. Continue with the other side to exfoliate and perfect your clean skin. BIODERMA Sensibio H2O works on all skin-types and is gentle enough for everyday use. 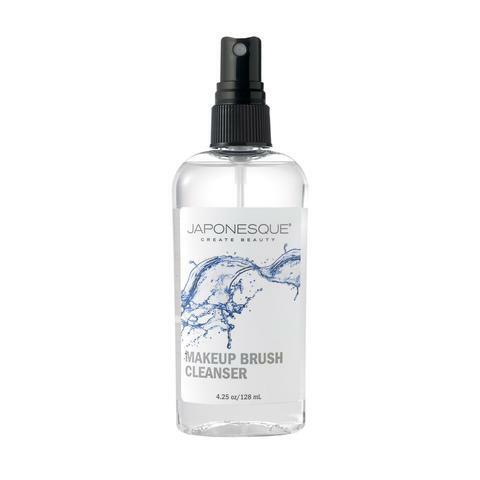 This product is perfect for cleansing and removing makeup from the face and eyes. Its potent vitamin E enriched formula works to soothe and clear up irritated skin. How to use: With a cotton pad or linen square, apply the micellar solution on your face to remove product and debris. We recommend after you wash your face or after you use your MakeUp eraser. RESOLUTION #2: Hydrate! Drink more water and don't forget your skin! Give your skin an instant refresher with facial sprays. From Rose Water to Cooling Aloe, our Pro Shop has it all! *Mario Bedescu Products are available in-store only. RESOLUTION #3: BE MORE BOLD! Try a new lipstick! We have a plethora of Pantone-approved purples! AJ CRIMSON S+M MATTE LIPSTICK "ROUND TWO"
RESOLUTION #4: Clean your brushes and sponges on a regular basis! No, seriously, do it. Your professional makeup kit is a non-negotiable. You already clean and sanitize before and after every client. So, why wouldn't you treat your face, brushes, and cosmetics with the same respect?! It's easy as 1,2,3! Don't be afraid to try false lashes! Go ahead, look more wide-eyed! With quick-dry lash glue and lash applicators, adding your own lashes becomes a breeze! KEVYN AUCOIN - THE LASH COLLECTION "THE INGENUE"
Join Make Up First® as we demo several NYE applications using different products to create bold looks to ring in the New Year! Our Mini Monday Workshop Series is open to the public. This workshop is demo only. Workshop will run from 10am - 12pm. Students will learn advanced techniques in application of pre-made prosthetics, bald caps; correct technique for laying facial hair and use of SFX products will be taught. Students are asked to bring your basic makeup kit, all theatrical and SFX supplies will be provided. About the Instructor: Richard Jarvie is a freelance Makeup Artist and Wig Designer with over 30 years of experience in the field. Before embarking on a full-time freelance career, “Rick” worked for the Lyric Opera of Chicago for 28 years—11 of them as Wig Master. Having received a B.A. in Theatre Arts from Nazareth College of Rochester, NY, Rick also trained under the San Francisco Opera Wig and Makeup Training Program. Rick has been involved in opera houses too numerous to mention. Students will learn how to assemble and use the airbrush and compressor. The students will be taught techniques and be guided in the selection of various airbrush foundations, blushes and contour shades, in order to create the highly sought-after flawless airbrushed face. Equipment is available for use during the one-day, four-hour session, as well as available for purchase. Students should bring brushes from their makeup kits. These single-session workshops are geared toward student’s ages 13-17. Students have the option of choosing all four sessions or any single session of their choosing. Throughout the day, your skin is exposed to pollution in the environment, regardless of whether or not you have on makeup. Over time, the buildup of pollution, free radicals, and makeup can result in clogged pores, acne, skin damage, and even fine lines and wrinkles, due to loss of collagen! To prevent clogged pores which can lead to acne, you NEED to remove your makeup and wash your face every night. Sure, one night of skipping your routine won't cause irreversible damage, but it could lead to an unwanted pimple or two! Use a makeup remover wipe, or makeup remover, or micellar water and a cotton wipe to rid your face of eyeliner, mascara, liquid lipstick, etc! A makeup wipe may take off much of the makeup on the surface of your skin, but will not remove everything. You will need to use a cleanser or exfoliator to remove unwanted makeup and debris from your pores. To balance your skin before you moisturize, use a non-alcohol toner or facial spray based on your skin-type. For acne-prone skin, use a non-alcohol based toner; Mario Badescu Seaweed Cleansing Lotion to soothe and disinfects skin; the Witch Hazel in the cleanser will help to deep clean pores. For stubborn pimples, follow with spot treatment, such as the award-winning Mario Badescu Dyring Lotion. What about for dry skin? To hydrate and calm skin, use Mario Badescu Facial Spray with Aloe, Herbs, and Rose Water or Mario Badescu Facial Spray with Aloe, Cucumber, and Green Tea. Pro Tip: use either facial spray or moisture spray by Cinema Secrets, as mid-day refresher. Follow with a moisturizer and under-eye cream. Embryolisse Lait-Creme is a makeup artist cult- favorite! A rich moisturizing lotion is really three products in one: use it as a primer, moisturizer, and make-up remover. Embryolisse Filaderme Emulsion is an enriched moisturizing cream that maintains the optimal pH of your skin while protecting it from external forces. The concentrated formula means a little goes a long way. Pro Tip: apply sparingly with fingertips over the whole face and neck so that only a fine sheen remains on the skin. Embryoderme is a rich moisturizing and revitalizing cream that helps to regenerate the surface of the skin, making it appear smooth, supple, and well-toned. Its simple, effective formula provides the skin the nutrition and repair it needs and ensures rapid correction of problems associated with very dry skin. Elastin, collagen, shea butter, Vitamins A, E and F work to intensely to revitalize the skin. It provides the skin with natural nourishing and moisturizing elements to repair it and eliminate all signs of dryness and discomfort. Its rich texture soothes the skin, leaving it supple, soft and smooth. Use Embryolisse Hydra-Mat Emulsion, as it ensures optimal moisturizing and a long lasting matt effect. It absorbs excessive sebum and reduces shininess; the apricot oil naturally tones skin. Embryolisse Anti-Aging Firming Cream combines soluble collagen with hyaluronic acid to visibly firm skin, boost elasticity, tone and reduce wrinkles. Once applied, the nourishing base adds density and softens skin in a matter of seconds. 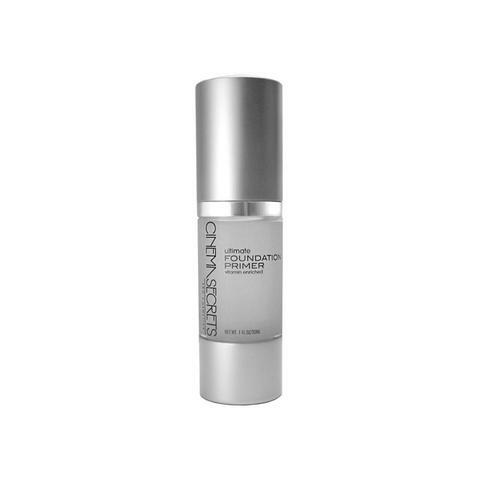 This rich, nourishing, non-greasy formula restores skin’s substance to re-sculpt the facial outline and erase wrinkles. Embryolisse Smooting Eye Contour Treatment presents a non-greasy eye treatment that has been specially formulated for the fragile area around the eyes. Rich in active ingredients, this multi-purpose product acts to improve skin tone, firm skin, and reduce the appearance of small wrinkles and crow's feet. Your lips! 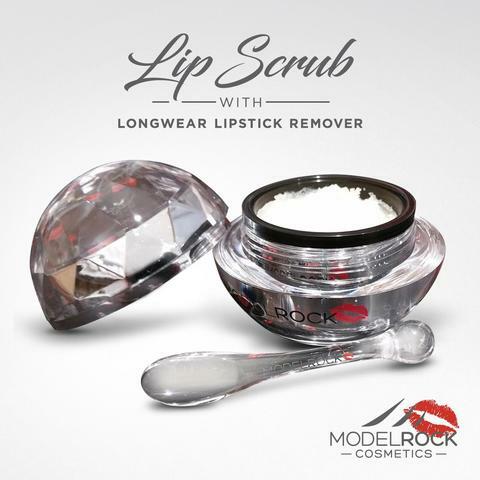 To rid your lips of chapped skin or stubborn liquid lipstick, exfoliate with ModelRock Lip Scrub or Cinema Secrets Lip Scrub . Follow with a lip salve, such as Rosebud. Your body and hands! Embryolisse Nourishing Hand Cream contains a combination of natural shea butter and wheatgerm oil to give very dry, damaged hands a smooth, plumper appearance, leaving skin feeling comfortable and soft to the touch! Exfoliate! Products such as Mario Badescu Glycolic Foaming Cleanser and Botanical Exfoliating Scrub are designed to dissolve dead skin cells and refresh complexion. Induldge using a treatment mask, available for all skin types and skin concerns; Musteav Masks are antioxident and vitamin-infused to target and combat skin concerns. UPCOMING WORKSHOPS! YOU DON'T WANT TO MISS! *REGISTRATION FOR ROSHAR CLOSES NOVEMBER 5TH! SIGN UP NOW! International celebrity makeup artist, Roshar, WILL demonstrate avant-garde/editorial makeup creations on Day 1, NOVEMBER 19th. On Day 2, NOVEMBER 20th, Roshar will be on-site, directing the attendees’ photoshoot with Chicago professional photographer, Robert Beczarski. *Students are required to take Day 1 in order to participate in Day 2; or may take Day 1 alone. Day 1 ($400) Lecture and demonstration of two looks. Day 2 ($750) Photoshoot with professional models. Directed by Roshar. *REGISTRATION WILL CLOSE ON NOVEMBER 5th, 2017. Halloween is right around the corner! At a loss for what to be? Don't stress, OUR PRO SHOP has this season's most popular looks - Just for you! Master this look with white, red, and black cream or water-based theatrical paint. To create depth, we recommend adding black shadow around the eyes for a smokey effect. For added intensity, purchase stage blood to around the mouth, available in liquid and coagulated. Images courtesy of WCIU Chicago. Make Up First® created these looks using Mehron products. 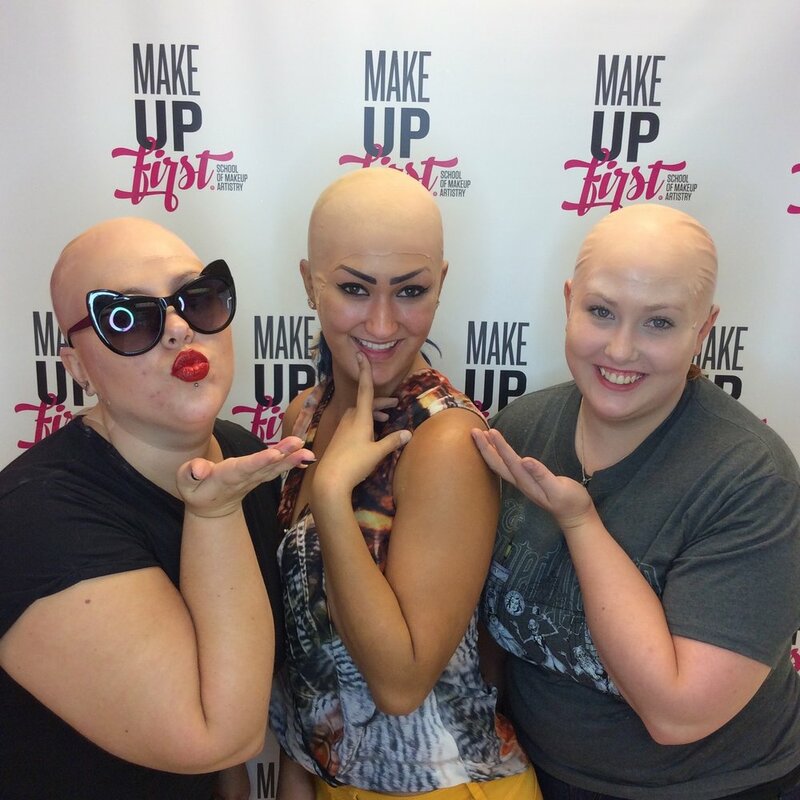 These looks were created by Make Up First® Instructors, Karla Arias and Rachael Heimbuch. Shop all Mehron products here. Go glam or gory with this look. Add texture with FIRST® by Make Up First (Maqpro) loose pigments. To create a hook wound, use liquid latex, Mehron 3D gel, and spirit gum to create a raised texture. Add cream paint and stage blood and voila! Look created by Make Up First® Graduate, Arlene Orlando-Smith for our WGN 9 Chicago Morning News segment "Around Town - Halloween Makeup Tips" that aired Monday. Catch the clips here! To create this look, use Mehron cream cups, available in black and white to create your skull. Set with Mehron Colorset Powder to keep your cream paint from melting! To bump up the look, add black shadow to make the hollows of your eyes pop! Create your melting face with Mehron 3D gel. Want more glitz? Dress up your skull with glitter and gems. *Use eyelash glue to adhere your gems. 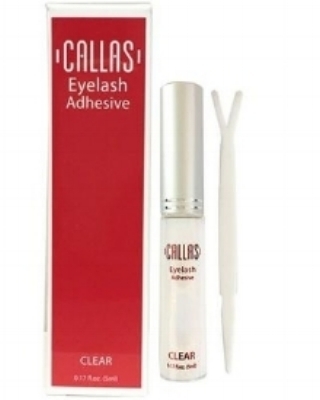 Callas Lash glue is latex-free and has a wand/brush applicator for easy use! Make Up First® instructor, Karla, created this look for our Fox 32 Chicago News segment that aired earlier this week! See it here! Look #5 - Baywatch Inspired with a twist! For this look, create an open-wound with liquid latex, spirit gum, and ripped cotton/tissues! For a jagged effect; use additional liquid latex and rip the edges. Follow this step by painting the wound with a bruise wheel to create dimension. Finish with stage blood! These looks were created by Make Up First® Graduate, Domonique Guerzon and Instructor, Molly Wierczbicki for our WGN segment "Around Town - Halloween Makeup Tips" that aired Monday. Catch the clips here! All products mentioned are available in our Pro Shop. Shop your favorites in-store or online! The Make Up First® Pro Shop is open Monday - Friday 9am - 5pm. Need to shop at a different time? Call us to arrange an appointment, 312-621-0801! Make Up First® was thrilled to host Roy Wooley for a 5th year in a row!! Our students did an incredible job creating creatures, ghouls, and more! Roy Wooley began his journey into the world of movie monsters after seeing “Conquest of the Planet of the Apes” at a very young age. After being inspired, every Halloween was spent improvising costumes to create his favorite monsters. The rest of the time was spent drawing and airbrushing pictures of monsters. In 2012 Roy appeared as a contestant on Syfy’s number one reality show “Face Off” where he received the title “King of Fabrication” after creating some of season 3’s most memorable creations. In 2013 Roy returned to “Face Off” for season 5 “Vets vs Rookies” where he made it to the “Final Three”. Today when Roy is not working on set he continues making masks, prosthetics and props for the haunted house industry, instructing others who have the desire to make monsters at conventions and workshops, creating make-ups for low budget films, building custom props and costumes, and airbrush body art for fashion shows, parties and print. 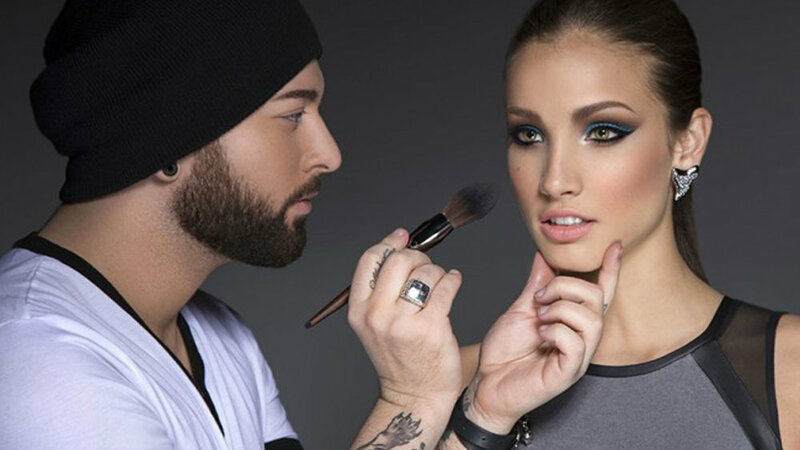 We are proud to include Roy Wooley as one of our instructors at Make Up First® School of Makeup Artistry, Chicago's ultimate makeup artistry Vocational School! Want to learn more? Halloween is right around the corner! Sign up for our upcoming Mini Monday Workshop: Character Makeup held on this Monday, October 9th at 10am - 1pm! Watch as we will demo the latest character trends! Open to the public.